‘The Rip Tide’, Beirut’s third full-length album, has been a long time coming. Beirut’s last LP, the critically acclaimed ‘The Flying Club Cup’, was released in 2007, and since then we’ve only had sporadic samplings of frontman and songwriter Zach Condon’s music, such as contributions to charity albums and 2009’s Double-EP ‘March Of The Zapotec/Holland’. But yet the band have been playing new and unreleased live material constantly throughout these few years, and it is as a direct product of this that we, finally, have a new Beirut album. And suffice to say that the wait has paid off. At the risk of jumping ahead to what should rightfully be at the end of a review, ‘The Rip Tide’ is damn near perfect. While Beirut previously drew on a whole range of foreign music influences and geographic inspiration, this to me is the first time that they have truly emerged with a sound all their own and completely distinctive to them. This album is certainly a bit more orientated towards pop music than we have become accustomed to from Beirut, but you can still sense the band’s past in everything they do. 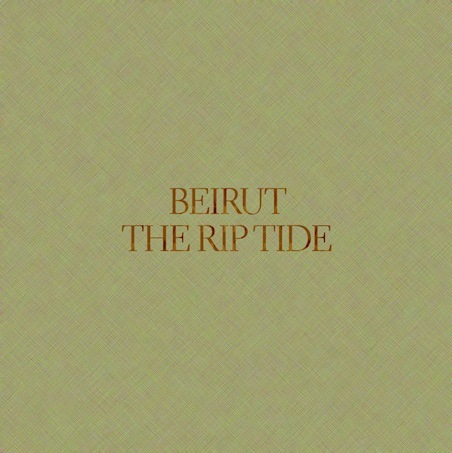 You can’t help but get the sense that everything Beirut has done up to now has been leading to ‘The Rip Tide’, which functions perfectly as a distillation of everything that is so great about the band as well as a progression in their musical style. We’ve already heard lead single East Harlem, but even surrounded by the rest of the album I remain slightly indifferent towards its studio arrangement. Live, Beirut generally played it centered around a ukulele, but the studio version is much more focused on keys and horns, especially towards the second half of the song. It is still a fantastic track, but it is far from one of the standouts here. Instead its b-side, Goshen, steals the show. It is a stunning and delicate number that grows from a sparse beginning to layered choruses and a emphatic climax filled with horns, drums, and Zach Condon’s unique and magical voice. Opener A Candle’s Fire introduces Beirut’s trademark ukulele, however this album is not structured around just this one element, as immediately becomes obvious with Santa Fe, which begins sounding almost like it belongs on the electronically-orientated ‘Holland EP’ before breaking into a more traditional Beirut vibe. The title track meanwhile is similar in style to Goshen, with various instruments building up and then fading away time and time again, eventually leaving only Condon’s voice, singing over itself in a breathtaking moment. My personal favourite song on the record, The Vagabond, has been played live a couple of times earlier this year, and thankfully it has been captured perfectly in studio form. It’s a bit more of a gypsy-style song for want of a better descriptor, with an almost swing-esque chorus that conveys an incredibly powerful sense of adventure and wanderlust when coupled with the lyrics “Left a bag of bones, a trail of stones, for to find my way home. Now, as the air grows cold, the trees unfold, and I am lost and not found”. Words cannot describe how much I like this song. 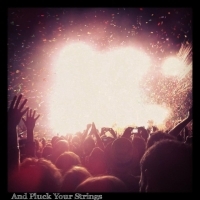 Album closer Port Of Call is yet another standout in an album full of them, and finishes the album the way it began: with a ukulele. And that is something that will please every last Beirut fan. Just like the record as a whole will. ‘The Rip Tide’ is the most mature, most accessible, most focused, most diverse, and most enjoyable Condon’s music has ever been. While Beirut’s earlier Double-EP deliberately did not strike a desirable balance between all facets of Condon’s songwriting, he finds this balance on ‘The Rip Tide’ with almost absurd ease. There’s the electronic introduction of Santa Fe which harks all the way back to the unreleased ‘The Joys Of Losing Weight’, the trademark ukulele of Port Of Call, the magnanimous horns of A Candle’s Fire, and the delicate piano of The Rip Tide. It is all here. There is nothing more you could possibly want from a Beirut album. And really, there’s not much more you could possibly want from any album. I think I’m gonna have to disagree with you completely. This album is their worst by far. It lacks the magic that his previous albums had. None of the songs, except for maybe Goshen and The Riptide, evoke the same emotions that songs on other albums do. Songs like Santa Fe and the Peacock are boring and repetitive. East Harlem can hardly be called a new song because they’ve been playing it live for the last 2 years. Payne’s Bay is also an old, old song that has been given a different element with another repetitive and unimpressive melody – “Headstrong! I’ve been headstrong!” At least I think that’s what he’s saying. Nevertheless the melodies are too simple and poppy. It lacks the raw emotion that Zach was able to invoke in his previous albums. Not only that, it is so short. It can hardly be called a full length album, especially because three of the songs are old songs which I end up skipping anyway. After Port of Call, the final track, I’m left terribly disappointed. I give it 2/4 stars.